I think that these maybe Bittersweet berries, I'm not sure. 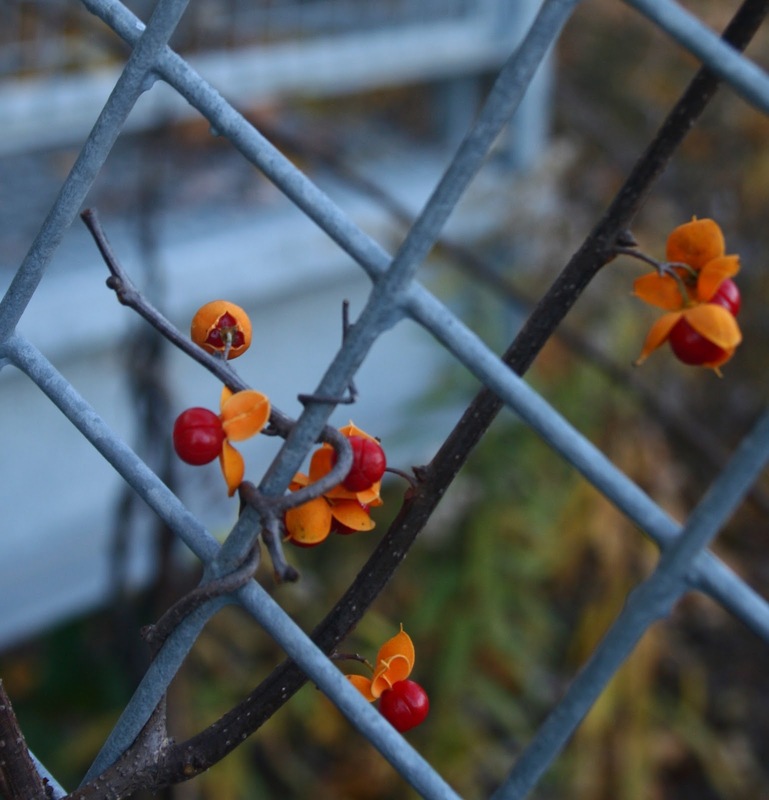 Even if they aren't, they are like bittersweet, in the sense that they are brightly coloured red berries that remain on the vine all through winter - a little like the small things that brighten a day when the hours are long and dark and cold and we really have to work at keeping the spirits up!! Then maybe someone says "Hello" or there's a cheery phone call, an interesting article in the newspaper, a good chapter in a book or a job that you've been meaning to do finally gets done!! These are the "berries." Actually, I've been meaning to do something in lace that suggests a twining. There are lots of diamond patterns out there. I wonder if I could incorporate knitted bobbles or beads into one of them and work out a pattern for a scarf that had these little red "pick me ups" in it? Here is another photo from my walk yesterday. 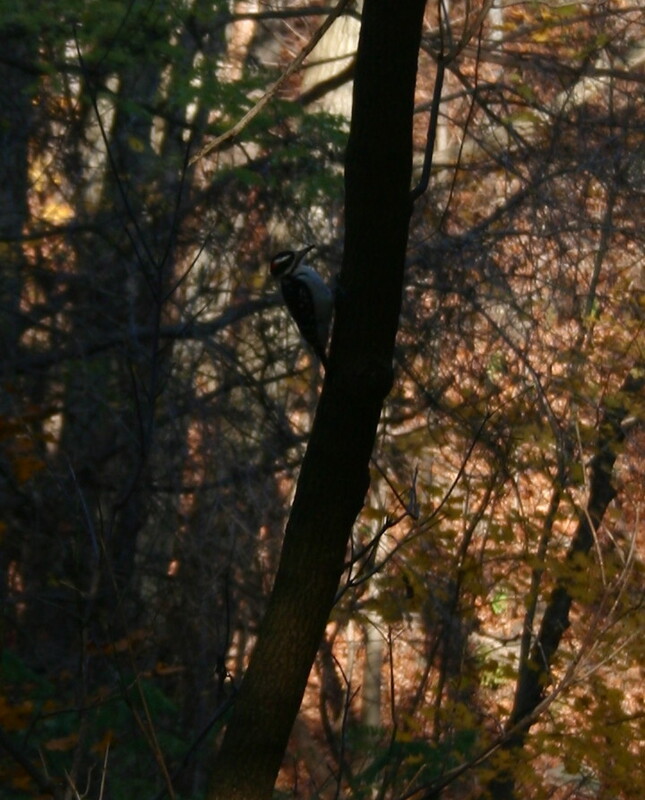 I don't have a really strong zoom on my camera; but I was about 10 feet away from this Downy Woodpecker. 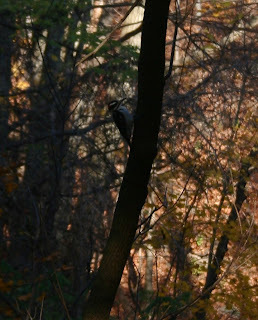 After I took his picture, I tried to get closer; but he deftly moved around the trunk so I couldn't see him - tricky! Actually the sound of a woodpecker on a grey winter's day is a great "pick me up"